Huh, I didn't know that was a nickname for it. Great shot! Yes - and it's perfectly shaped like one so you don't have to 'tax' your imagination as you do with some DSO's and their nicknames. 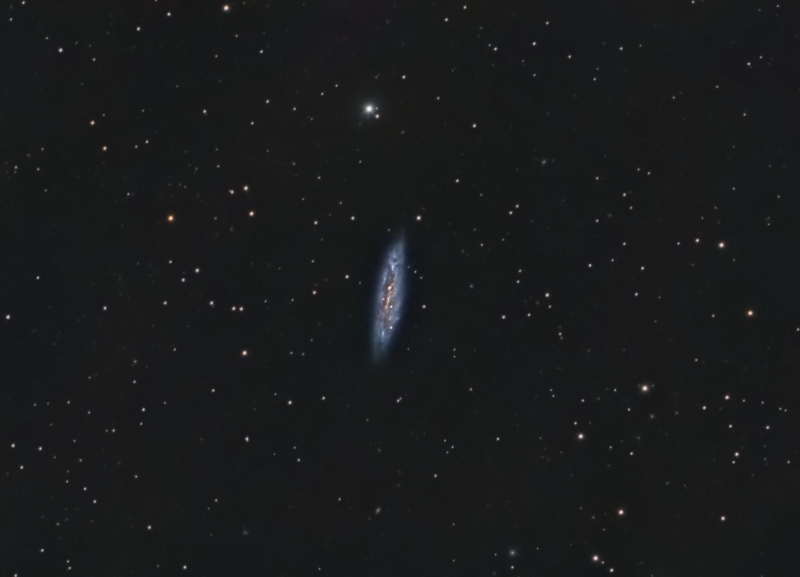 BTW - M108 is a pretty easy catch visually even with smaller scopes (6"-8") if you have dark skies. +1 Huh, I didn't know that was a nickname for it. Excellent shot, very nice colors! Thanks Ryansem, M11Mike, and Traveler. I appreciate that. I found the nickname in Stellarium. Edited by elmiko, 15 February 2019 - 01:03 PM. It's also in Patrick Moore's "Atlas of the Universe" and several other astronomy books. Excellent work! I almost shot this with the owl nebula on the other side of the frame! Excellent work, Mike. Love the beautiful colors. Dhaval, yes, the owl and this target would make a great image . My field of view with this small sensor wouldn't allow it. Go for it! Nice colors and detail. Great processing, Mike. Thanks Tim, still have a ways to go. Thanks AIP, the more I look at the rotation of the galaxy, the less I'm liking it though. I think it would look better if it wasn't so vertical. perhaps, back to Pixinsite? StarSense vs. SkyPortal: one or the other, or both?